Bruce Jenner already divorced Kris Jenner and now he's firing her as his manager. Bruce Jenner and his ex Kris are still close but it seems he wants some distance when it comes to his career. The former Olympian, who announced his bid to become a woman in a searingly honest interview with Diane Sawyer last month, has reportedly SACKED the Kardashian momager to work on his own. 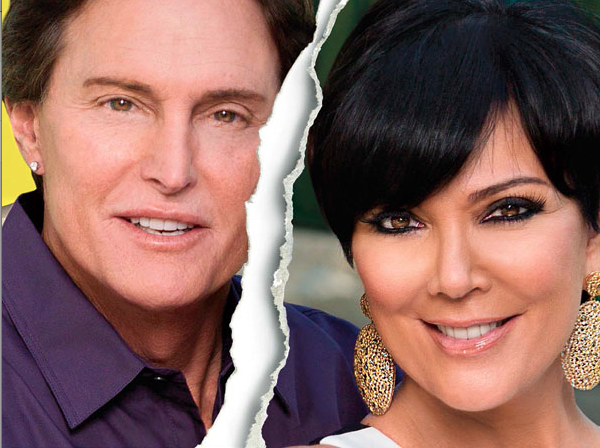 According to The Sun newspaper, ex-wife Kris, who split from Bruce in 2013, has been cut from a deal to make his reality series which will chronicle his journey from man to woman. A source said: "Kris is as you see on the show - bossy, nosey and controlling. She didn't want to relinquish control because it makes it harder for her to sort out fees for Keeping Up With The Kardashians."